August 2 marks the International Beer Day. However, many of the local beers that will be ‘tasted’ today will probably have been produced and marketed by a foreign multinational brewery. These large multinational companies currently face a range of challenges, as many developed markets show declining sales, and promising emerging markets are still costly and risky to enter. A recently launched book edited by Jens Gammelgaard and Christoph Dörrenbächer – The Global Brewery Industry: Markets, Strategies, and Rivalries – explores these challenges in further detail. 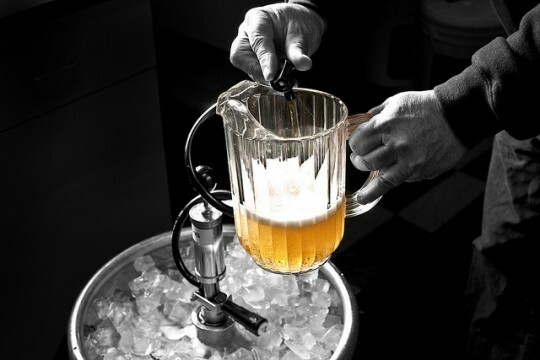 The brewery industry has specific characteristics that make it worthy of a detailed analysis. It is an industry that: a) has adopted similar technologies globally, b) offers a homogenous product (although differentiated by brand), c) is dominated by a few large multinational corporations (MNCs) and d) is highly internationalized. Furthermore, formerly important West European markets show a pattern of decreasing consumption, whereas emerging markets are experiencing the opposite. In addition, MNCs from what can be characterized as small or medium-sized countries, such as Heineken (Netherlands), Carlsberg (Denmark), Interbrew (Belgium; now known as AB Inbev) and SAB (South Africa; now known as SABMiller), have adopted successful merger and acquisition (M&A) strategies, whereas important players from large countries, such as Anheuser Busch and Miller in the US and Scottish & Newcastle in the UK, have become takeover targets. By the end of the 1990s, most national beer markets (with the notable exceptions of China and Germany) were dominated by two or three players, most of which were national champions, who shared more than 80 per cent of the market. This dominance, combined with the high costs associated with trading beer over long distances and the persistence of national differences in consumer preferences, beer types, drinking habits, taxation and regulation, allowed for only limited integration across national markets. This was reflected in the low concentration of global beer production around the turn of the millennium. In 1998, for example, the five largest breweries in the world accounted for only 25 per cent of global beer output. However, recent years have brought a dramatic catch-up process in terms of the global concentration and internationalisation of the brewery industry, with the top-five players in the global beer market accounting for almost half of global beer production in 2010. 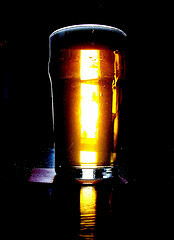 As a result, the brewery industry, once an archetype of a ‘multinational industry’ with significant pressure for local manufacturing and products adapted to local tastes, has gradually become a ‘global industry’, in which companies seek to realize cross-border standardization advantages, mainly by introducing global brands and by capitalizing on synergies in marketing and distribution. Beer is “an alcoholic beverage usually made from malted cereal grain (as barley), flavoured with hops, and brewed by slow fermentation”. Today, there are about 150 different styles of beer sold in the world, most of which originate from Germany, the UK, Ireland, France, Belgium and North America. As with many other consumer goods, beer is increasingly facing price-based market segmentation. Consumption of both low-price beers and premium beers is growing at above-average rates in most regions of the world. In particular, the trend towards “premiumisation” has been picked up and advanced by the major brewers. Given their command of distribution channels and their marketing expertise, these brewers are particularly well suited to capitalize on the fact that production costs for premium beer are only slightly higher than the production costs for discount beer. Therefore, marketing and its various components, such as branding, are of vital importance in the brewery industry; especially since real product differences among particular styles of beer are minimal. In fact, older studies using blind taste tests indicate that most people have no or only a very limited ability to distinguish among beers of the same style in terms of aroma or taste. Consequently, competitiveness depends on brand values and efficient, distinctive marketing strategies. MNC breweries are also challenged by global market developments. Sales have been affected by the stagnation in almost all traditional high-volume markets in the developed world with beer consumption declining recently in many of these markets (e.g., in Germany, the UK and Japan). Notable growth in demand is evident in emerging economies, such as China, Russia and Brazil, but profit margins are considerably lower in these countries. Global breweries need to invest heavily in order to access distribution channels and to make their brands known in these regions. Over the last three decades, the number of breweries operated by the top players in the industry has increased dramatically. Currently, Heineken operates 140 breweries throughout the world, while AB Inbev has 121, SAB Miller has 96, and Carlsberg has 80. What motivated brewery groups to build up and acquire an increasing number of breweries abroad given the limited benefits associated with the cross-border integration of production? First, internationalizing companies aimed to gain footholds in those regions of the world where beer consumption was rising fast. While the 1990s and early 2000s brought significant investments in Central and Eastern Europe, the years since the new millennium have been characterized by huge investments in the Chinese market and in larger Latin American markets, such as Mexico and Brazil. Furthermore, with more globally minded consumer groups on the rise in many countries, large brewery groups aimed to benefit from the application of globally uniform marketing campaigns, which were developed at headquarters, across a larger number of local markets. Examples of such global marketing campaigns and associated slogans are “That calls for a Carlsberg”, “This Bud is for you” (AB Inbev) and “Heineken refreshes the parts other beers cannot reach”. Such global marketing campaigns are particularly lucrative, as expenses for brands are fixed costs that are generally independent of sales volumes. Furthermore, the brewery industry has experienced numerous small- and medium-sized cross-border acquisitions in recent decades. Heineken, the most active company in this respect, acquired no less than 35 smaller breweries around the world between 1990 and 2008. Dominant motives for acquisitions in the brewery industry include the desire to capitalize on synergy effects gained through upgrades of plant technology and management, cost efficiencies through layoffs and rationalization, and control over value chains and distribution channels. Furthermore, M&A in the brewery industry is often a consequence of multi-point competition. In this regard, a foreign brewery’s market entrance can result in counterattacks from other international players, as has been the case in India, China and Russia. In some contexts, these attacks are not restricted to the host countries but are extended to the main competitors’ home countries. One example is Heineken, which, via its ownership of Alken-Mae, holds around 14 per cent of the Belgium market, home to its archrival AB Interbrew. As these insights indicate, multinational breweries operate in a global market that is consolidated and highly competitive. They highlight that the performance of these companies not only relates to the way breweries organize their international activities, but that in a modern world economy, the global industry context is extremely important as it determines the parameters of competition and constrains the feasible strategic choices of breweries. Jens Gammelgaard is professor of International Business at the Copenhagen Business School. He is Head of the Department of International Economics and Management. Alongside investigations into the brewery sector, he has researched the strategic developments of foreign subsidiaries, Mergers and Acquisitions, Knowledge Management issues, and recently negotiation theory. He has written more than 30 review articles and book chapters. Further, he is the book review editor of the Critical Perspectives on International Business journal. He earned his PhD from Copenhagen Business School. Christoph Dörrenbächer is professor of organizational design and behaviour in international business at the Berlin School of Economics and Law. His current research focuses on subsidiary role development, headquarters-subsidiary relationships and careers in multinational corporations. He has formerly been Assistant Professor of International Business and Management University of Groningen, and Senior Research Fellow Social Science Research Centre Berlin. In 2011 he was appointed editor-in-chief of the Critical Perspectives on International Business Journal. He earned his PhD from the Free University Berlin. Click here to download the introduction for free.